Pankaj Kamath is a highly recruited engineering student, working in a New Jersey gas station to afford his final year of college. He seizes on an opportunity by hatching a diabolical plot to steal a $20 million dollar winning lottery ticket from an unsuspecting customer, Dr. Steven Kaye. Pankaj’s greed triggers an unfortunate series of events that spiral violently out of control, leading to the deaths of several innocent people. Detectives “Big” Bob Shaw and Norm Fuller investigate a tangled web of events, including multiple murders, mistaken identities, drug deals, strip clubs, domestic violence, personal revenge, and police corruption. Shaw must solve the biggest case of his career at a time when his personal life is unraveling. He even targets his new girlfriend as a possible suspect. Shaw and Fuller use all of their skill, bending the rules and wrestling with ethical choices, hoping justice will prevail. KUSHEL takes you on an action-packed thrill ride! The many twists and turns will keep you guessing until the very end! Lotto Trouble is about a student named Pankaj Kamath who sells a winning lottery ticket to a customer and then develops a scheme to steal it for himself. Six years after this book was first published, an amazing coincidence occurred. In May 2009, in Grand Prairie, Texas, a student by the name of Pankaj Joshi working in a convenience store saw his greed rise to the surface and stole a winning one-million-dollar ticket from a customer. He fled the country to his native Nepal with his stolen winnings. This story was heavily covered in the news media when Pankaj’s crime was discovered in October 2009. The odds of two students by the name of Pankaj perpetuating such a rare crime might be higher than actually winning the lottery! Every day in the United States, lottery players are buying tickets from lottery sellers. Lotto Trouble serves as a precautionary warning that a lottery winner’s potential fortune might be in the crosshairs of an unscrupulous clerk on the other side of the counter. On Sunday, November 1, 2009, Ken Herman wrote a column in the Austin American Statesman comparing the events of Kushel’s book “Lotto Trouble” with the actual events that occurred in Texas. Cash Kushel, in his first novel, delivers a fast paced, action packed story of the evil caused by greed. When a gas station clerk realizes he knows the identity of the lottery winner who has not yet cashed in the winning ticket, the action begins and dead bodies abound. 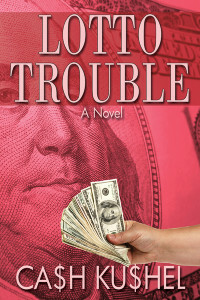 Kushel’s first novel, Lotto Trouble, is definitely worth a read. 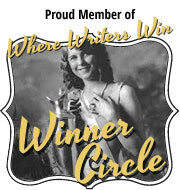 It is exciting, action packed, and has a slew of memorable and great characters! Definitely buy this book! Some people are loath to give a chance to an unknown author but give this book a chance, and I promise it will be one gamble that will definitely pay off!